There hasna��t been a mo-menta��s rest this week, with the city springing back into action, and how. Lots to cover, so Ia��llA�get right to it and give you the gist. First, it was a weekend-long party with Tania Mani and Chickoo Thomasa�� big fat Indian wedding keeping us occupied and entertained. The bridea��s brother and sister-in-law, Rajiv and Aru, made sure we had a great time and were involved in all the celebrations. The multiple events included a Kerala-themed mehendi, with everyone in white and gold, complete with traditional musicians, dancers and food. The church wedding the next day was followed by a Great Gatsby-themed reception, giving guests the chance to go all out at the photo booth. Long gowns, hats, eye pieces, and lots of tassles ruled the evening. And finally a Filmisthan-themed cocktail, complete with performances by family and friends. 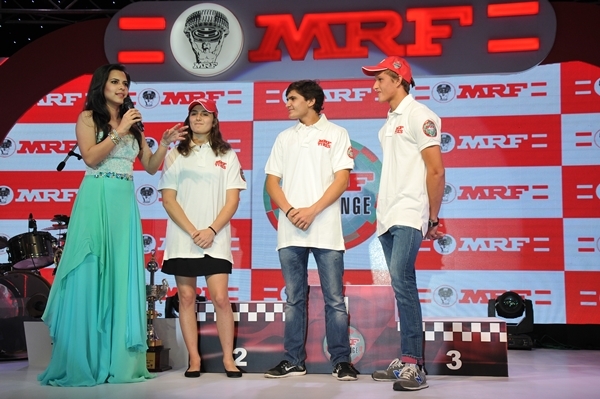 The weekend also saw the final round of the MRF Challenge 2015, with 19-year-old Pietro Fittipaldi taking the title. Following close in second and third place, were Tatiana Calderon and Nikita Troitckii. A chat with the young lady at the post-race dinner revealed shea��s not fazed by being a�?a woman in a mana��s worlda��. When asked about it, she cheekily said, a�?Where I come from, the woman always goes first.a�? 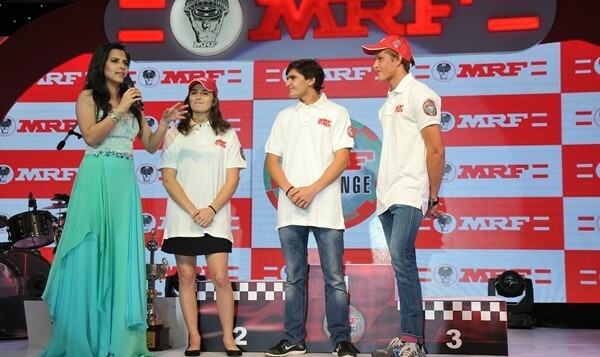 The trophies were presented by Arun Mammen, MD of MRF Tyres, followed by a fabulous performance by sister duo Shibani and Apeksha Dandekar. The fashion fraternity carved out time for the annual Leather Show at the Taj Coromandel. This year saw an increased focus on menswear, along with a range of accessories for women. Closing the show were actors Sakshi Agarwal and Kavya Shetty, and model Tyson Khan.A� Saturday sawA� us atA� Maalgaadia��s Edgy Soiree, where we tried our hand at some designing at the interactive stations. We also met the designers from three eco-friendly brandsa��Arture, Naushad Ali and Heritage Blend. Meanwhile, the Dynasty 2016 calendar launch by Sunil Menon at Soma Boutique saw a full house. Shot in scenic Hampi, it showcased great bodies and fine architecture. The weekend ended on a high note with Sandeep Arora, Indiaa��s whiskey ambassador, at Chipstead on Sunday, for The Chivas 18 event. The premium whiskies, amongst finger food and special desserts like Chivas-filled homemade chocolates, kept the spirits up.